Fat Binding Diet Pills – Could They be You Secret Weight Loss Weapon? Fat binders are an increasingly popular weight loss product these days, so dieters who are looking for an effective fat binding product can be spoiled for choice, but some products are better than others. This can be a problem because, although many people may look at the relevant marketing spiel and like what they see, few dieters really understand exactly what a finder is or how it works. That’s not good. Making the wrong choice can result in disillusionment, and some products can be expensive, so it makes sense for all prospective fat binder users to understand what results to expect and how these results will be achieved. Most foods contain some level of fat, and the body requires a certain amount of fat each day so the presence of some fat in the diet is not an issue, but a lot of food choices contain unhealthy amounts of fat and too much fat in the diet can lead to weight gain, high cholesterol, and ill health. 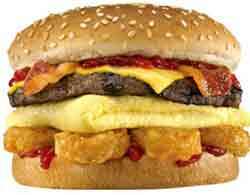 And the problem is not just limited to fast foods such are burgers and fries. Some common fridge items, such as cheese and butter, can also provide unhealthy doses of fat—mayonnaise is around 75% fat. Often called fat blockers, fat binders have the ability to severely limit the amount of damage caused by such fatty food choices. Most fat binders are produced in easy-to-swallow capsule form, so they are easy to fit in a pocket or handbag and carry around for use throughout the day. In general they are used up to three times a day and are taken up to half an hour before each main meal. Once inside the stomach the capsule casing breaks down and releases the fat binding ingredient(s) which remain in the stomach for some time and are still present when the food arrives. Food contains many different forms of nutrient including proteins, carbohydrates, and essential vitamins and minerals. These are digested in the normal way, but a high percentage (typically around 30%) of the food’s fat content becomes trapped by the fat binder (which cannot be digested) and is then carried out of the body along with the binding agent and excreted with the stool. Obesity poses many health risks so it is never desirable to become overweight and, contrary to the popular saying, big is seldom seen as being beautiful. High blood pressure, heart attacks, and strokes are just a few of the dangers faced by anyone who allows their weight to spiral out of control. 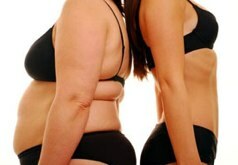 Fat is a high calorie food. Just one gram of fat can provide the body with nine calories. One gram of protein or carbohydrate provides less than half this amount, so a little fatty food can go a long way when it comes to fulfilling the body’s daily calorie requirements, and a lot of fatty food, consumed on a regular basis, can be deadly. One in 11 deaths in the UK can be linked to obesity and a study conducted by the University of Oxford’s Department of Public Health and the National Obesity Observatory reveals a ‘dramatic rise’ in obesity related deaths. 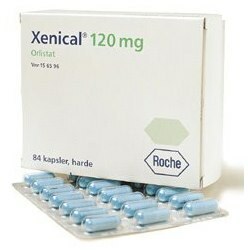 The most famous fat binder is probably the drug orlistat (usually sold under the brand name Xenical). Doctors often prescribe it as a treatment for extreme cases of obesity, but seldom write a Xenical prescription for anyone who has a body mass index (BMI) of less than 30. The fact that Xenical is the go-to fat binder choice of doctors offers a good indication of how effective the drug can be, but its prescription-only status means Xenical is not a weight loss option most people will be able to take advantage of. Fortunately other options are available. Some of them are very good and can match, maybe even better, Xenical’s performance. Chitosan: Two forms of chitosan are used in fat binding products. One form contains a compound called chitin (extracted from the shells of deep sea crustaceans) the other is manufactured from a species of fungus (aspergillus niger). Tests have failed to prove the effectiveness of the chitin version, but the fungus form has been proved to outperform other fat binding ingredients by 33%. 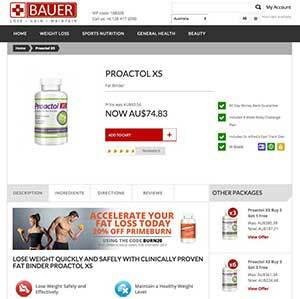 We recommended Proactol XS, a natural fat binder that is now available to buy direct from its own official website without prescription. Proactol XS is a fat binder – that is, a dietary supplement that works by convincing your body that the fat you are eating is not for digestion, and therefore not absorbed or stored as excess body fat. Not only does the body stop absorbing the fat, but Proactol XS will also help to suppress appetite, so people feel full up for longer. As the body will stop absorbing a great deal of fat, cholesterol levels will also be reduced with regular use of the capsules. The product is approved by Halal and Kosher authorities, and is perfectly safe for consumption by vegans. Anyone taking Proactol XS capsules should note that it is only fat that is absorbed, and the regular nutrition and vitamins which food provides will still be digested by your body in the same way. You become part of a community; a community which will support you and be able to offer advice about your current lifestyle and the ways that you can maximise the effectiveness of the capsules. The process starts when you take two capsules before your meal. When you are eating, the fat in your food will interact with the capsules you have just taken, forming a gel-like substance that leaves your body unable to digest the fat. The capsules can store up to 800 times their weight, and promises to be up to a third more effective than competing brands of fat binders. Capsules can be taken up to three times a day, and must only be taken with meals. The manufacturers advise drinking plenty of water when taking the capsules, to allow them to travel into the stomach quickly, where they will begin to work as soon as your food has begun digestion. Customers must never chew the capsules, and they should be swallowed before they begin to dissolve in the mouth for the ingredients to work as intended. What is the medical evidence? What is the media exposure? 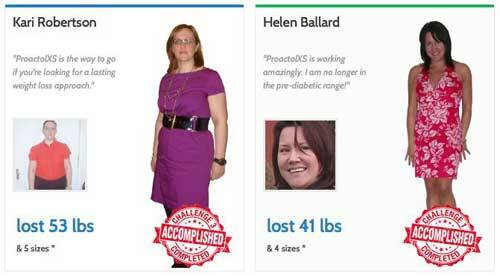 The media has reacted positively to the Proactol XS capsules, with various review websites confirming the manufacturer’s claims of being more effective than other brands of fat binder. A simple Google search will bring up hundreds of websites which have used and reviewed the product. There are lots of social media comments on Facebook and Twitter reviewing and sharing experiences of the capsules, which may be more reliable than any media coverage of the product. As with any new product you are considering adding to your diet, a medical professional should be consulted. The vast majority of people should have few or no side effects from taking the capsules on a regular basis, but perhaps the most common side effect would be possible constipation. As the capsules are absorbing fat, you should make sure that you are eating a healthy diet with lots of fibre to help your body digest the remaining food to help with bowel movements. The European Union has certified the product, and it uses 100% natural ingredients, which means that it can be trusted as part of a healthy diet and weight loss regime. Absolutely! 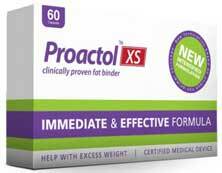 They provide a 30-day money back guarantee on any of the Proactol XS products. If you don’t find that the capsules help, or you simply don’t want to continue taking them, you can return the product and receive a full refund without any trouble. Whether you buy a single month’s worth, or take advantage of the discount offered on the 60 or 90 day packs, your refund will be processed as soon as they receive your notice. Purchases can be made from the official stockist Bauer Nutrition. There are several packages available ranging from a 10 day sample right up to several months. Proactol XS ships to all countries including Australia, New Zealand, United States, Canada and the UK.